This cone was super cute! 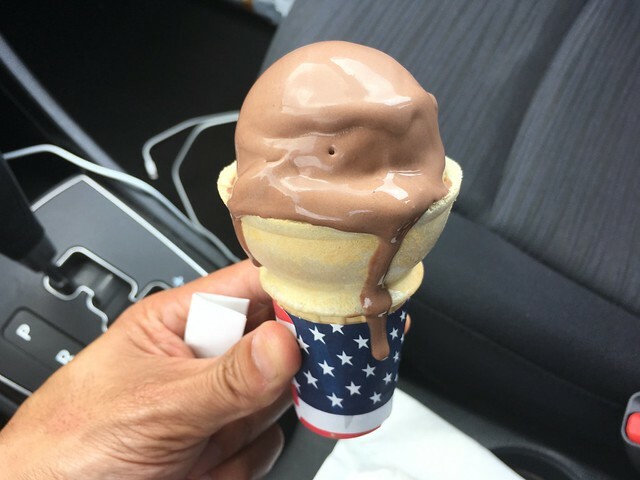 I liked the chocolate flavor and the texture of the frozen custard. It was very hot outside so it started melting pretty quickly, lol! This entry was posted in Sheridan's Frozen Custard and tagged chocolate, custard, dessert, food, frozencustard, icecream by vicentesf. Bookmark the permalink.